The PowerPoint presentations download very slowly if you choose "Open". Please select "Save", and then save them to your desktop for a quick download. 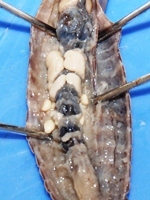 Click on one of the video options below to view the earthworm dissection. A lesson plan (with time codes), quiz and an interactive PowerPoint are available below. 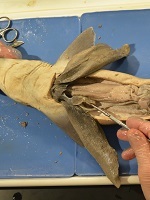 Click on one of the video options below to view the clam dissection. A lesson plan (with time codes), quiz and an interactive PowerPoint are available below. 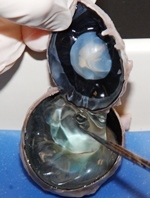 Click on one of the video options below to view the cow eye dissection. A lesson plan (with time codes), quiz and an interactive PowerPoint are available below. Click on one of the video options below to view the crayfish dissection. A lesson plan (with time codes), quiz and an interactive PowerPoint are available below. 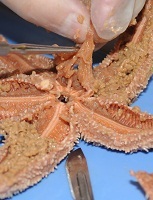 Click on one of the video options below to view the sea star dissection. A lesson plan (with time codes), quiz and an interactive PowerPoint are available below. 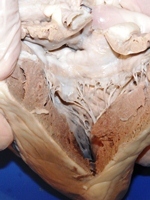 Click on one of the video options below to view the sheep heart dissection. A lesson plan (with time codes), quiz and an interactive PowerPoint are available below.